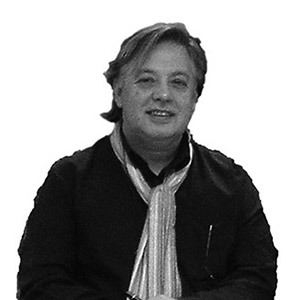 Héctor Fernández Martín has been combining various disciplines for the past 35 years: he is an architect, designer and a lecturer in design theory. His architectural oeuvre includes unique buildings in Spain and abroad, such as television broadcasting centres, sports facilities, hotels, hospitals, and residential buildings. His concern to cover all stages in the design process, from the initial ideas right up to the realisation and formalisation of all the details, has led him into the world of interior design, and the design of furniture and lighting, such as the HLF and Safe lamps, designed for B.lux.